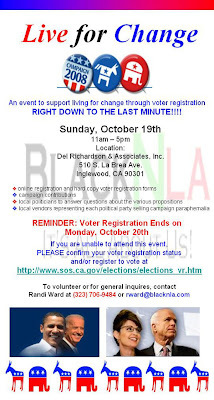 L.A., etc...: Radio Free KJLH Voter Registration Drive! I recommend NOT voting. Voting is like believing in Santa Claus. Fools! All of you Fools!